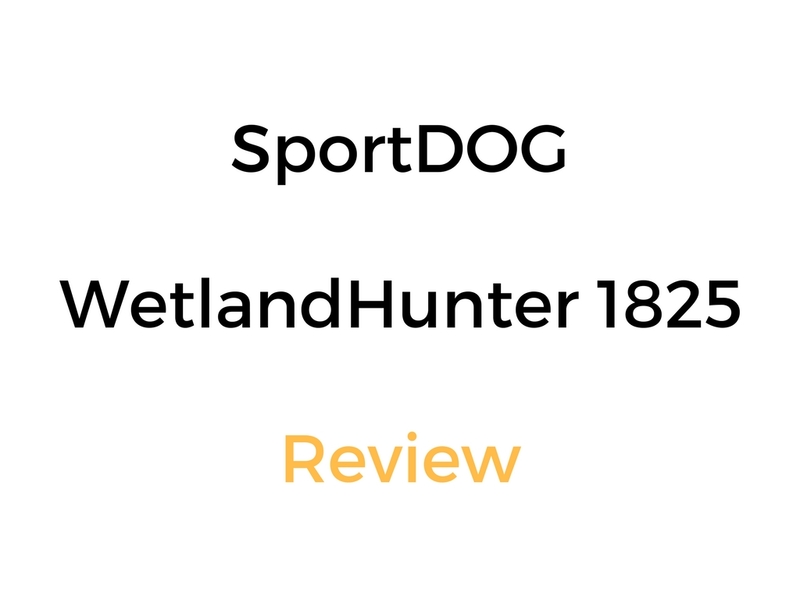 If you’re looking for a camo colored e collar designed specifically for waterfowl hunting, you’ll want to check out this SportDOG WetlandHunter 1825 Review. Apart from being waterproof, this dog training collar works at extremely long distances (up to 1 mile) and is expandable to control up to 6 dogs on the same remote. That’s just a few of the features though. We’ve outlined the full list of features along with some of the potential cons of this receiver/transmitter combo below. Let’s look at it in closer detail! The buttons on the transmitter remote allow you to deliver your choice of momentary (nick) or continuous stimulation. What Is The WetlandHunter Series Designed For? They are designed for the waterfowl-hunting environment with close working dogs. The small size of the transmitter and receiver makes it perfect for situations where space is at a premium and/or for hunting with smaller dogs. The camo color of the transmitter and colors is designed to stay hidden as well. The 1825 in particular is designed for long distance range control. Who Might The WetlandHunter 1825 Be For? Who Might The WetlandHunter 1825 NOT Be For? What Do You Get In The WetlandHunter 425 Kit? WetlandHunter 425 vs 1825 – What Are The Differences?